Click here to register as a carpool driver. Click here to register as a carpool passenger. 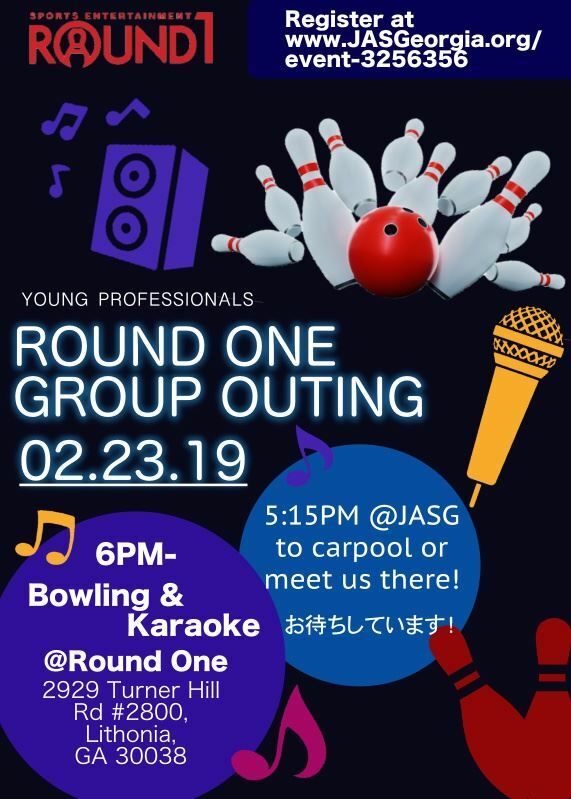 Join us for a night of bowling, karaoke, and fun at Round One entertainment! Meet us there at 6PM or carpool from the Japan-America Society of Georgia at 5:15PM. Register online to RSVP your spot!